Personalized training for 3 hours in a small class setting with Lilly Walters. An introduction to the skills and tools that set a truly professional face painter apart from the beginner. Fast and easy faces, with the flair of an advanced painter. Get ready to jump - brushes first - into the world of professional face painting. A good balance of demos, lecture and a great deal of hands on practice. You will practice on paper practice sheets (which Lilly will provide), your arms, and the arms of fellow students. After the class, we will stay for hours to practice and watch other professional painters from the area. A 10 page workbook is included in your registration, to enhance the learning experience, with specific drills and exercises. 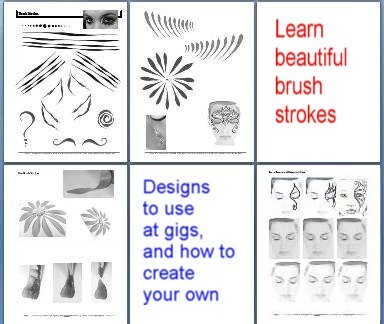 Learn to Create Many Popular Designs: Butterfly; Flowers, Princess; Tigers and Cats; and much more! 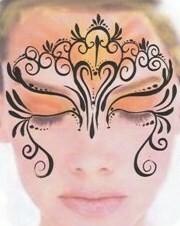 Those who want to learn face painting skills, to be the hit of the party with their friends and family. 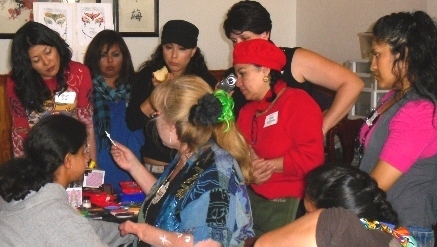 AND, those who want to learn about the world of professional face painting. $25 for returning student refresher. If you bring a child from 15-18 years old, they must be accompanied by a full paying guardian. 15 sheets of paper, a pencil or pen to take notes. contact Blanca Laba, six two six 421 5111, blancasbodydecor@yahoo.com. She has three kits for you, a deluxe and advanced kit, up to 20 percent off of retail! See the class list, and the email that will be sent to you IMMEDIATELY upon payment. But, the classes are usually held in Claremont, or Montclair. Plenty of free parking.